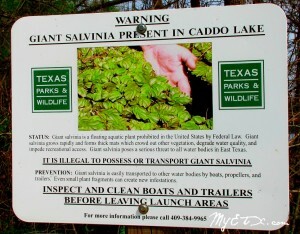 Lake Tyler is located southeast of Tyler, in Smith County, off Texas 64. The lake is composed of two bodies; Tyler West which is 2,224 acres and Tyler East which is 2,276 surface acres, both with a maximum depth of 40 feet. Aquatic vegetation in the lake consists of moderate native, floating, submergent, and emergent, with some hydrilla in East Lake. Lake Tyler East and Lake Tyler West are connected by a canal. Both lakes have a great reputation as consistent largemouth bass fisheries. They are popular with tournament anglers and host frequent night tournaments during the summer. Most fish are in the 2- to 8-lb class with a few over 10 lbs. Crappie are not as abundant as at some other lakes, but size distribution us usually good and few need to be released due to small size. Sunfishes (bluegill, redear, and redbreast) provide excellent opportunity for bait or fly fishing anglers. More recent additions to the fishery are chain pickerel and white bass. Chain pickerel, a smaller cousin of the northern pike, is frequently sought by anglers because of its sporting qualities. White bass were introduced from Lake Tawakoni in 90’s but did not become abundant until heavy rains in 2007 provided the flow needed for successful spawning. All species are currently managed with statewide regulations. Located on the eastern shore of Lake Tyler West. From FM 346, turn north on FM 3341 (East Dam Road). 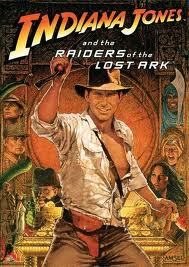 Tyler – This Thursday, July 12, at 7 p.m. Liberty Hall will continue the “Summer Blockbuster” theme with “Raiders of the Lost Ark,” starring Harrison Ford as Indiana Jones! Take a date or go with friends to Liberty Hall in Tyler this Thursday for chills and thrills with Indiana Jones! Tyler- The 97th East Texas State Fair will open its gates Friday, September 21, through Sunday, September 30. That’s 10 days of fun, food, and friends in Tyler. The East Texas State Fair has everything from live music, to pig races! Don’t miss this nearly century old celebration in East Texas!